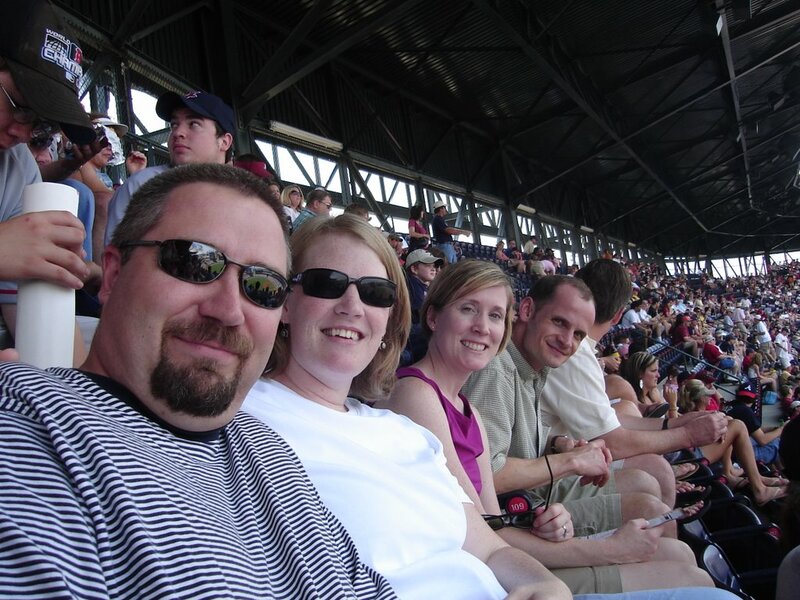 Here’s a picture of us and Jennifer and John Ed (minus Chrissy and Chad, who took this picture) at the Braves game this past Saturday….before the beer was spilt down our backs. That would be Red Sox fans to the rear and to our left. There were some in front of us, too. We were surrounded by them!